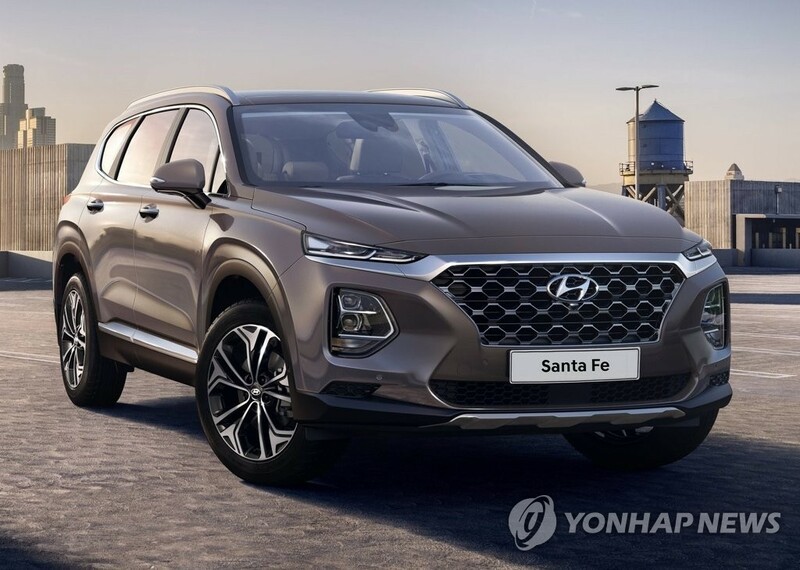 SEOUL, Nov. 28 (Yonhap) — Spreading protectionism and a relatively weak sport-utility vehicle lineup will remain major challenges confronting Hyundai Motor Co. next year, experts here said Wednesday. The trade tariff dispute between the United States and China will be one of the most pressing challenges for carmakers around the world going forward, unless some sort of a compromise is reached, auto analysts said. A trade agreement between the world’s two biggest automobile markets is unlikely to come at the Group of 20 summit set for Friday and Saturday in Argentina and there is a good chance that bilateral trade tensions will continue to fester, they said. “The U.S.-China trade wrangling will fuel concerns within global markets as investors expect a slowdown in economic activity and corporate earnings in 2019. Export-oriented manufacturers remain highly exposed to such trade tensions between the ‘G-2′ economies,” Lee Jae-il, an analyst at Eugene Investment & Securities Co., said. G-2 refers to the U.S. and China. Another headache, analysts said is the lack of competitive SUV models in Hyundai’s lineup, which will continue to weigh on the sedan-focused carmaker’s bottom line next year. After not properly gauging the shift in consumer demand for SUVs, Hyundai belatedly launched the Kona subcompact SUV and the all-new Santa Fe SUV in the U.S. this year, but their sales have yet to meet expectations. The company plans to introduce the Palisade flagship SUV in the U.S. in the summer of 2019 and the luxury GV80 SUV under the independent Genesis brand sometime after late 2019. “As the GV80, the full-change G80 sedan and the all-new Sonata sedan will go on sale in earnest from late 2019, sales of the new models will start to be reflected in 2020 earnings results,” Lee Sang-hyun, an analyst at NH Investment & Securities Co., said. Given weak sales in the G-2 markets, Hyundai looks set to miss its sales target of 4.68 million autos for this year. It sold 4.51 million units last year. From January to October, it sold 3.77 million units as strong domestic sales helped offset weak overseas sales. 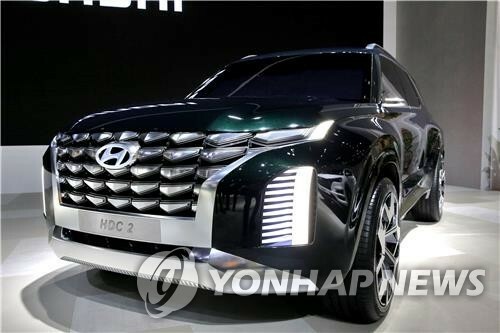 Hyundai and its sister company Kia Motors Corp. are aiming to sell 7.55 million vehicles this year, up 4.1 percent from the 7.25 million they sold last year. Analysts and industry people expected the combined sales target won’t be achievable due to weak overseas sales for the high-end Genesis sedans. Hyundai sells Genesis vehicles under an independent badge, with the carmaker moving to open exclusive dealerships in key markets. In the January-September period, Genesis vehicle sales inched up 1.2 percent to 60,093 units from 59,370 a year ago. But sales of the existing G90 model plunged 42 percent to 7,902 from 13,709 during the same period. Genesis brand models, composed of the G70, G80 and EQ900 (now G90), are being sold in Korea, the U.S., Canada, Russia and the Middle East. Genesis brand cars have yet to make inroads in Europe and China. The facelifted G90, launched Tuesday in the domestic market, will reach showrooms in the U.S. and other markets from mid-2019. Low demand for Hyundai vehicles, meanwhile, resulted in poor earnings. In the first nine months of this year, Hyundai’s net profit plunged 43 percent to 1.848 trillion won (US$1.64 billion) from 3.259 trillion won in the year-ago period. Worse still, the news of U.S. prosecutors’ probe into Hyundai and Kia’s plans to recall vehicles with engine problems dealt a blow to their shares early this month. Investors sold the stocks amid worries that the probe could lead to fines or additional recalls. Hyundai and Kia, which together form the world’s fifth-biggest carmaker by sales, recalled about 1.7 million vehicles in 2015 and 2017 in the U.S., due to the same engine problems that raise the risk of a crash. As a result, Hyundai shares have fallen 54 percent to 101,000 won so far this year, far underperforming the broader KOSPI’s 18 percent loss. To maintain momentum in next-generation vehicles, Hyundai is aggressively pushing forward hydrogen fuel cell electric vehicles, while making investments in future mobility through partnerships with self-driving tech firms and startups.